2020 Imaging is an innovation-led technology company headquartered in Singapore with presence in India and Middle East. We have developed radically new technologies in the space of data visualization, video analytics and alert management. 2020 beautifully ties up the above with in-house geospatial and video analytics, with an ability to interface with third party analytics and other alert-sourcing sub-systems. Visualize: Once the incoming data is analyzed, it needs to be rendered in a format that makes decision making simple. The conversion of data into information through analytical intelligence needs to presented in a manner that will enable proactive actions. 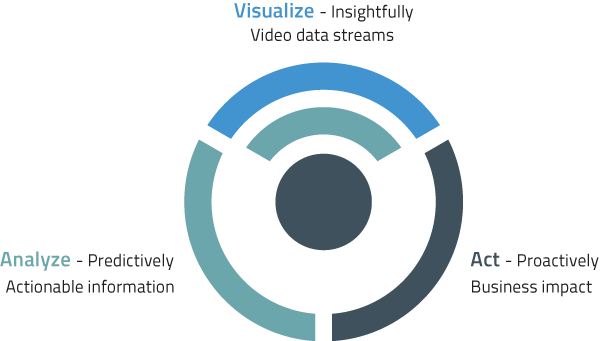 Pictorial representation, Geospatial referencing, Context-sensitive navigation, Collaboration between operators, Communication across systems – all these add to 2020’s visualization element that is quite unmatched in the market. Act: Unless a system incites business action, the analytics or visualization elements do not have much of a meaning. 2020 understands that any solution needs to have a business impact. Only proactive actions can produce business impact, for the modern day security, facility and business operations have become too dynamic to be reactive. This is why we have created systems that will help you act proactively.